Members will be able to make their selection for the fall club shipment when the store opens on November 1, 2019. To become a Club Member, please visit us for a private seated tasting in our Estate Vineyard tasting room. Because our production is extremely limited, we request that you join the Club in person. 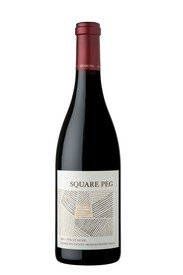 A well balanced, fragrant and complex Pinot Noir with medium weight and moderate garnet color. Subtle flavors of red cherry, raspberry, and rose petals linger in the very long finish. 18 months in 40% new French oak. Bright acidity and mild tannin will ensure that this outstanding wine continues to evolve as it ages. With color nearly identical to that of the exceptionally rare Padparadscha (Lotus Blossom) sapphire, this Rosé wine will delight you with its refined elegance and balanced flavors. 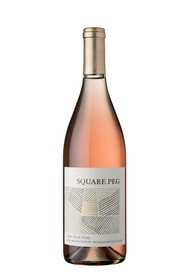 The Square Peg Rosé will satisfy the most discerning oenophiles. Our Estate Grown & Dry Farmed Russian River Valley Rosé is a crisp, elegant wine with a lively and refreshing finish. Characterized by subtle notes of peach, pear and melon, it's the perfect choice to enjoy on its own or to pair with pasta, grilled meats, seafood, and a variety of other foods. 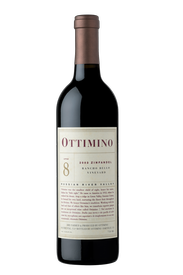 Medium garnet in color, the 2015 Zinfandel Ottimino Estate has a spicy nose over a core of black cherry, raspberry and baking spices. 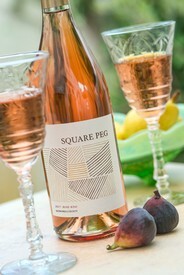 The full-bodied palate is smooth, and while richly fruited, is elegant and sophisticated with a soft lingering finish. Enjoy a glass on its own, or pair with a variety of foods. This extremely rare 16-year-old Zinfandel reveals layers of rich and intense flavors of blackberry, plum, bramble and luscious black cherry. Elegant, full-bodied and perfectly in balance, this extraordinary wine exhibits a boundless and vibrant finish that can be enjoyed now or cellared for several more years.